Paper types and product features are selected to enhance the creative process. These high quality cards are made from 140 lb. cold press watercolor paper. This heavy weight paper has excellent surface strength and resists buckling. 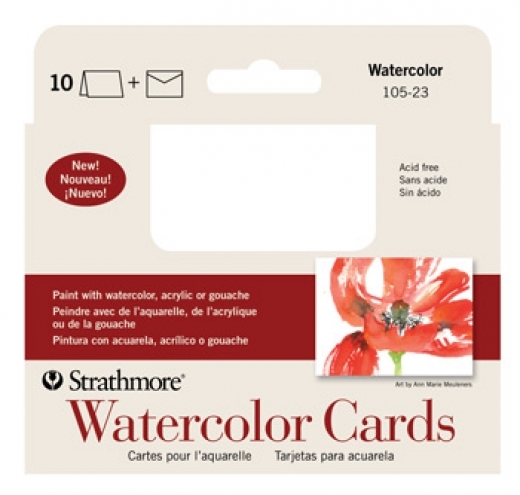 Ideal for watercolor, acrylic or gouache. 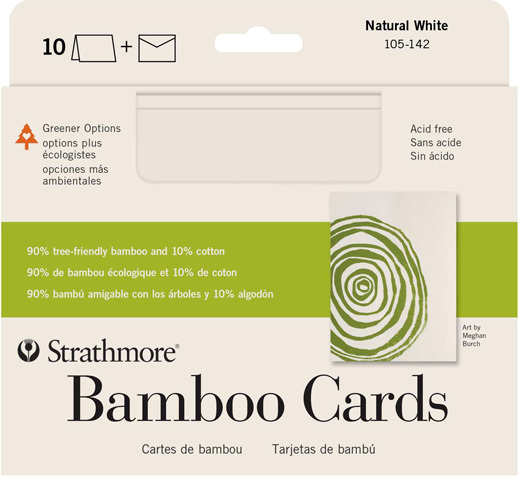 All packs contain 10 cards and 10 envelopes. Made specifically to hold up to any wet media including watercolor, acrylic or gouache. These high quality cards are made from 140 lb. cold press watercolor paper. The front side of the card is left blank for your art. The opposite side is printed with the traditional markings of a postcard so you can mail your piece and share your artwork. 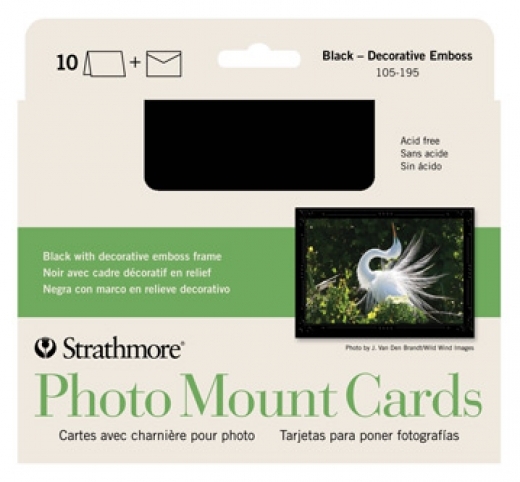 Mount your photos, artwork or pictures to the front of these beautifully embossed cards. 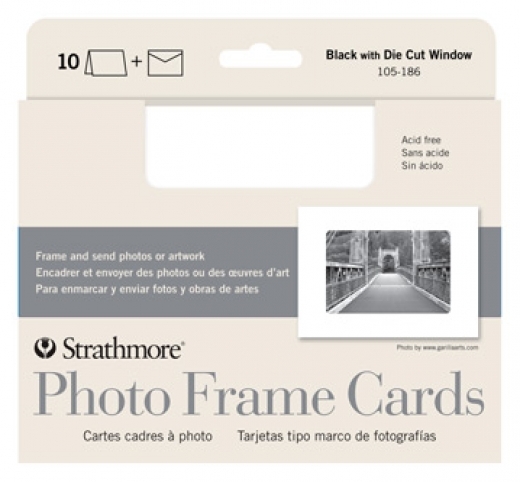 Included in each package are double-stick tabs for adhering up to a 4" x 6" picture. Matching envelopes are 5.25" x 7.25". 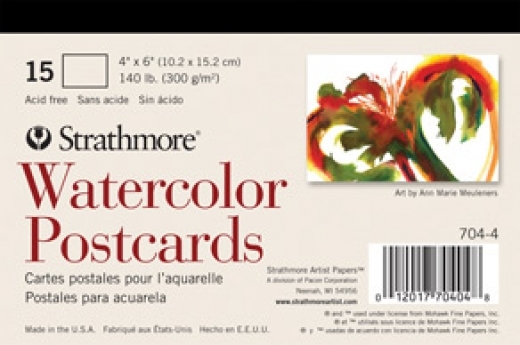 Ideal for use with paints, screen prints, stamps, block prints, collage and more. Made with 90% tree-friendly bamboo and 10% cotton. 5" x 6.875" cards. Full Size matching envelopes are 5.25" x 7.25". 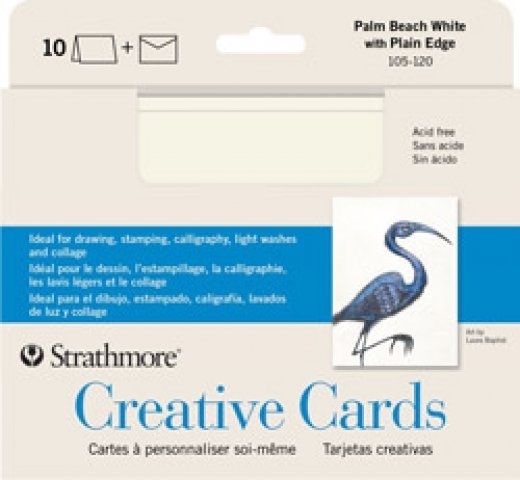 Whether you are an accomplished artist or a creative crafter, the distinctive texture and quality of Strathmore® Creative Cards are the perfect way to personalize your correspondence. Ideal for colored pencils, rubber stamps, die cuts, collage and more. This small card is ideally suited for formal announcements, gift enclosures, invitations, change of address and thank you notes. Announcement Size matching envelopes are 3.625" x 5.125". Announcement cards meet domestic size requirements for US 1st Class Mail.